Heralding the true flavour of Japanese cuisine from Nagoya, Aoki now completes its resurrection with a dashing new look and exciting new dishes. Its compatriot upstairs Le Gran Mahakam has successfully indulged Aquila Asia in the past edition, now it’s the time of truth for the new Aoki. Aoki has actually become a fine addition to a city that no longer strange to Japanese culture. But to stand up against the tide of overwhelming competition, it had to undergone an intense makeup since the late 2010 until very recent, Aoki finally reopens and ready to get into the competition again. The place it resides in, the Mahakam Street, is actually in heavy conjunction with Blok M and Melawai vicinities which have always been known traditionally as the most Japanese district in Jakarta. Take a look at, for instance, the Little Tokyo area just nearby all geared up with Japanese izakaya (Japanese bar), restaurants, hotels and Japanese supermarkets. While it’s a common thing for most Japanese expatriates to reside in Southern Jakarta salubrious districts during their tenure here but the thing is that they do have one common taste they longed for, Japanese restaurant with a very Japanese flavour. That’s probably one of the reasons why originally Aoki, hailed from a famous eatery back in Nagoya, was franchised by Gran Mahakam. 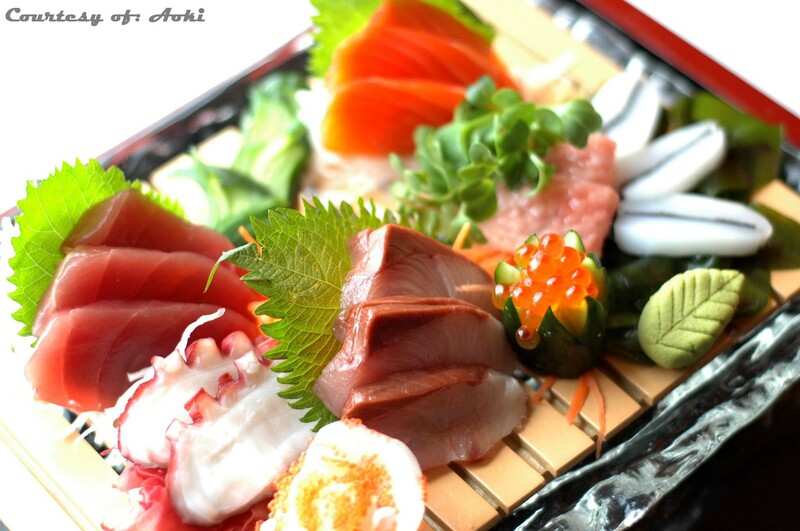 As the basics, Mr. Ignatius Suyanto, the manager of Aoki for the past decade exclaims that Aoki still imported sauces such as wafu (Japanese vinaigrette dressing) and ponzu (Japanese vinegar and citrus dressing) straight from the original Aoki. However with the appearance, Aoki also daringly produces new dishes infused with modern fusion Japanese as well as retaining the originals such as mentioned on the tagline, sukiyaki (Japanese sweet hot pot) and shabu-shabu (Japanese savoury hot pot). Mr. Suyanto further explains that to maintain the quality it’s a must for the backbones in kitchen department to receive specific education first abroad at Aoki in Nagoya. So how does it look like now? Enter from the special entrance for Aoki, you will then be escorted to a stairway heading for the lower level of the hotel. Suddenly the intensity of dark and elegant surroundings of blackish floors, green lights, modern partitions and finally the oriental wooden parquets will seize you and taking you instantly to the twilight world of Aoki. It’s so different now! What used to be perceived as an old fashioned restaurant has now evolved itself into an elegant yet intimate dining scene. Beautiful though personally, I think that no matter how this facade may cater your privacy needs but surely a constant gloomy appearance can actually ruin your appetite especially when you encounter a type of cuisine known with its beauty in its presentation. Surely Aoki has plenty to offer besides that and clearly it never ran short with fresh and inviting openers. For example, if you happen to stumble upon tobiko (flying fish roe) salad, a combination of kyuri (Japanese cucumber), carrot, nori (seaweed), flying fish roes, with wafu dressing, then you are guaranteed with a boosted appetite. Aoki’s signature fresh crab hand rolled sushi is probably the most intriguing one since it’s quite rare in Jakarta to find a sushi joint that consider a substitution for the use of nori. Instead they use the soya paper which actually tasteless but acceptable for the use in creating sushi or maki and still they look very appealing. The interior which consists of rich and tender combination of crab and tuna are definitely what makes this hand rolled sushi more than just edible but also very delectable! Next if you’re heading straight for the specialties, make sure at least you see how Aoki’s preparing the newly invented dish called dry sukiyaki, served moist unlike the original which usually served with the broth but amazingly still preserve the true flavour of real sukiyaki. 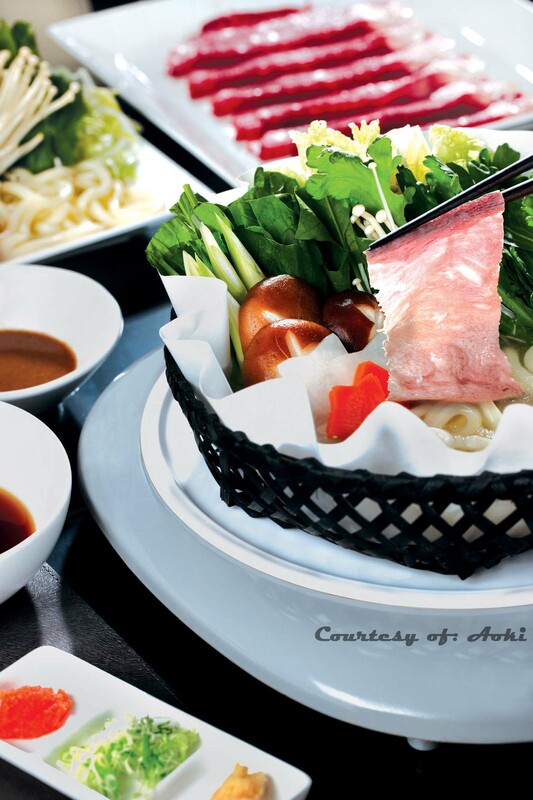 Though what you usually experience with sukiyaki and shabu-shabu is when people surround, cook and eat from a hot pot full of thinly sliced beef and plenty of beautiful vegetables. A very hearty meal indeed! But here in Aoki, it’s served individually, one by one in turn, thus making it lack in the togetherness value. 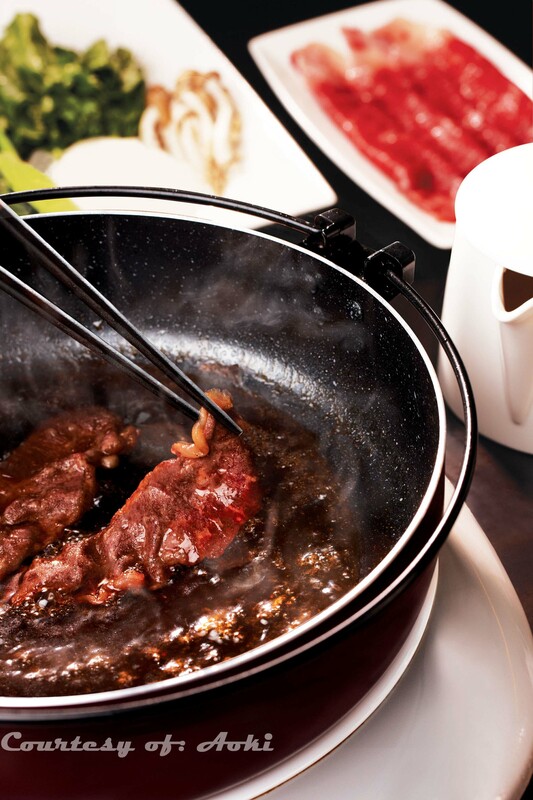 Nevertheless it’s undoubtedly delicious thanks to the supreme quality of the Wagyu beef, fresh vegetables and most of all, the secret concoction of Aoki’s sukiyaki sauce. Then again, if you wish to rekindle the family values, you can always choose the original sukiyaki or the shabu-shabu cooked on the middle of your dining table over a kaminabe (hot pot made from paper). 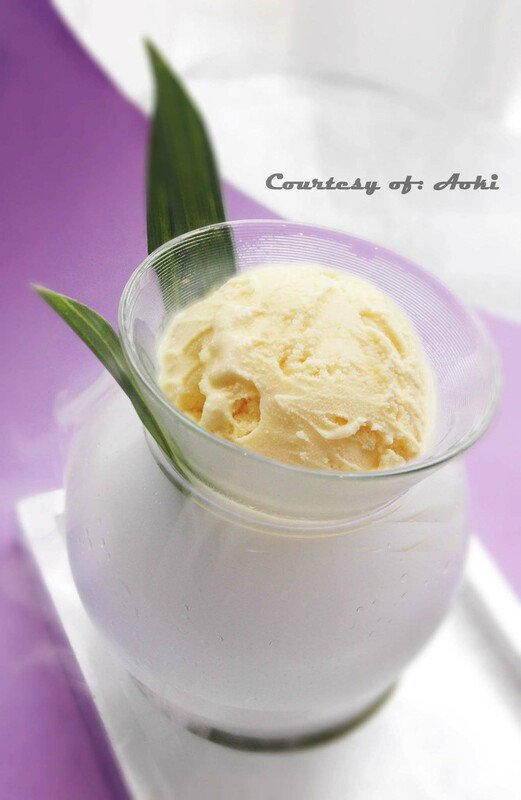 For the closure, make sure to enjoy Aoki’s special homemade matcha (green tea) or ogura (red beans) served on a vase filled with dry ice and that makes the ice cream looks steaming up and very alluring. Surely what other wonderful way to wrap up your dinner if not with a thick and fulfilling bowl of ice cream? Even the kids would love to have it more! With such apparent result, the rejuvenation of Aoki was indeed not a futile effort though also not without its flaws. It’s arguably a terrific option for business or a private session but a family dine out actually requires a more vigorous surroundings. Even so, you’d still be very impressed with how they treat you as kings and queens. 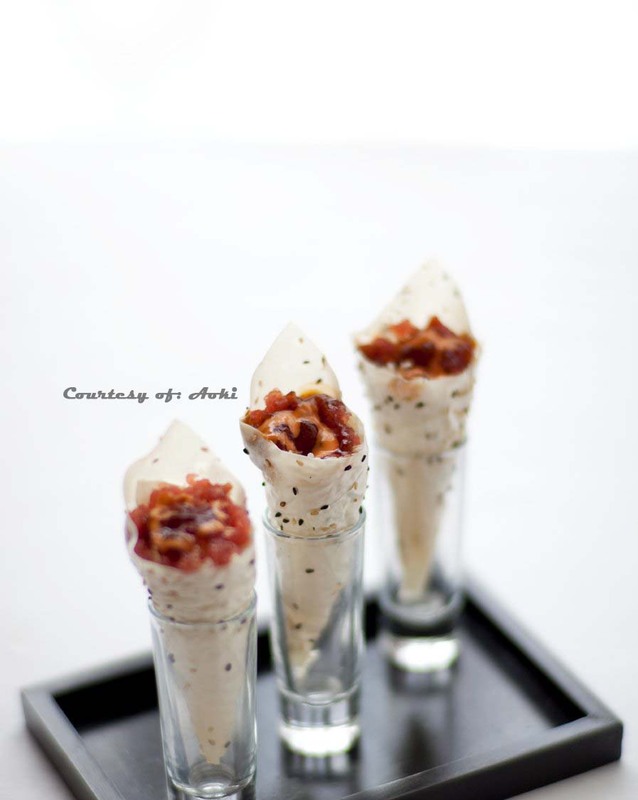 Not to forget also, the gorgeous dishes and how flavoursome they are. It’s Aoki, ladies and gentlemen. Reservation: Recommended especially for Sunday Brunch and group meetings. Previous PostRestaurant Review: Madeleine Bistro (Hang Out Jakarta, October 2011)Next PostTGA Milestone: What’s Cooking in 2012?